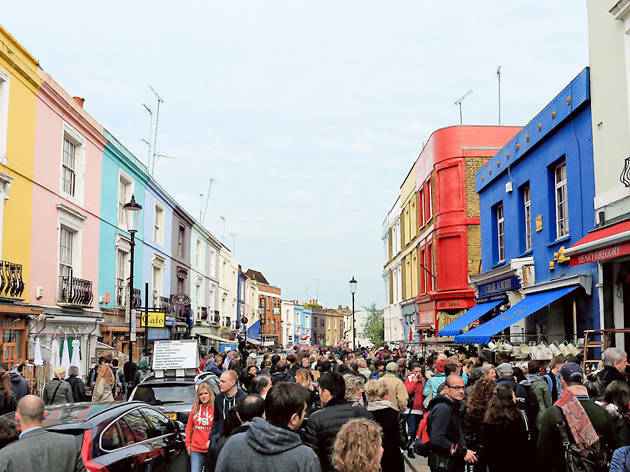 London is positively bursting with markets: you can go to Borough Market for food and Columbia Road for flowers; but where do you go when you’re looking for a bargain? To the humble flea of course! To help you on your hunt for secondhand gems we’ve selected the best markets in London to be thrifty. 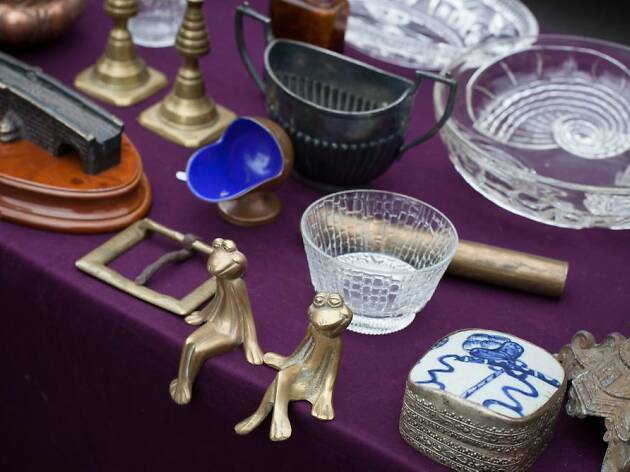 Whether you’re looking for antique furniture, shiny silverware, vintage accessories or just enjoy having a good old rummage through other people’s cast-off tat, here is our pick of London’s best flea markets and second hand fairs to spend your weekends wandering around. It’s time to get your barter on. Less thought out is Deptford Market, a sprawling, messy mass of stallholders peddling everything under the sun. Sorting through half-used tins of talcum powder and broken electronics makes finding treasure even more rewarding, but don’t attempt to barter for it. Traders have no time for punters they think are taking the piss. Every Wed, Fri and Sat, 9am-5.30pm. 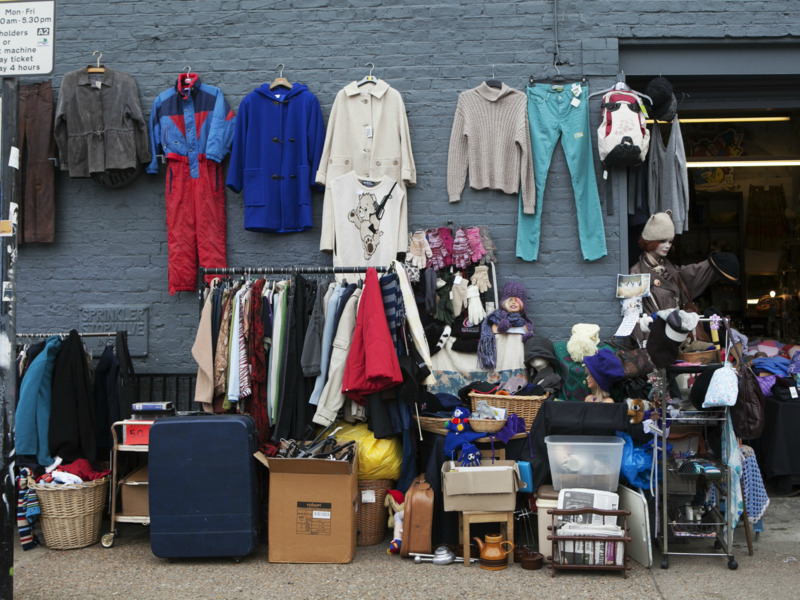 Opened in 1880 as a ‘waste’ market for people to trade unwanted goods, this Hackney hotspot was once the place to go for secondhand stuff, but by 2015 trading had dwindled to just one stall. 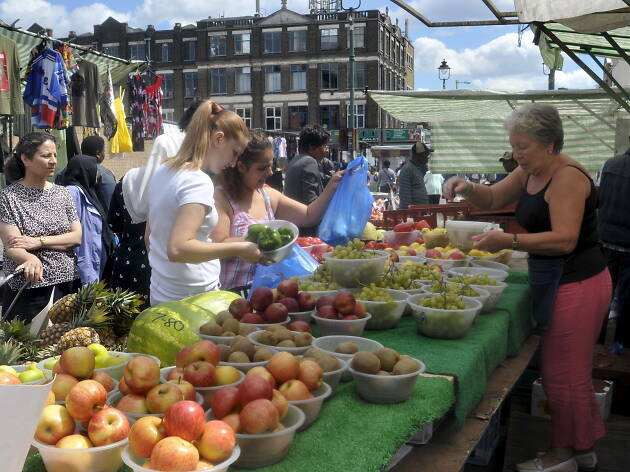 The new market runs weekly on Saturdays. In keeping with 138 years of tradition, there are stalls selling secondhand bargains, vintage goods and collectables, antiques, and also the occasional ‘waste’ trader. Long live Kingsland Market! 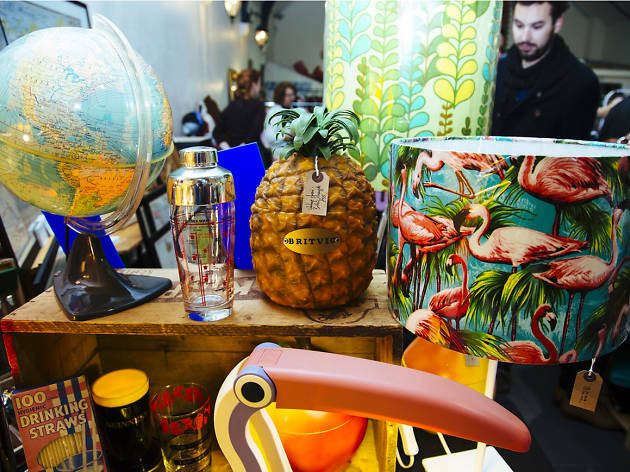 Set in the busy heart of Stoke Newington’s Church Street, Hackney Flea Market offers an eclectic range of items including jewellery, vintage fabrics, mid-mod furniture, old maps and kitchenalia. 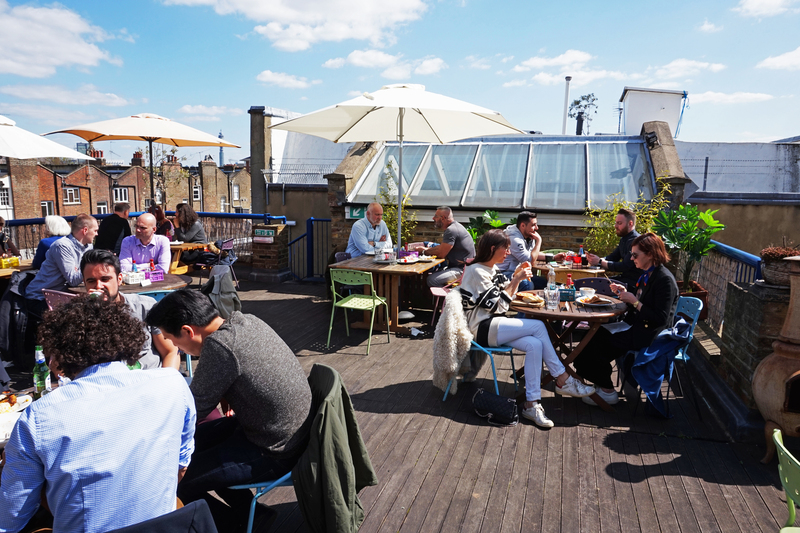 Homemade delicacies are on hand throughout the day, as well as DJs, to keep sugar levels and spirits high. 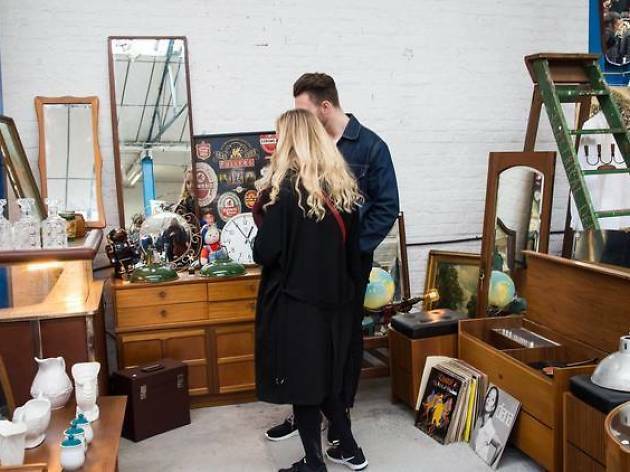 The organisers also run Peckham Salvage Yard, one of London’s largest outdoors weekend markets, where you can get your hands on vintage threads, twee ceramics, atomic-age electricals and antique luggage. Check here for future dates. 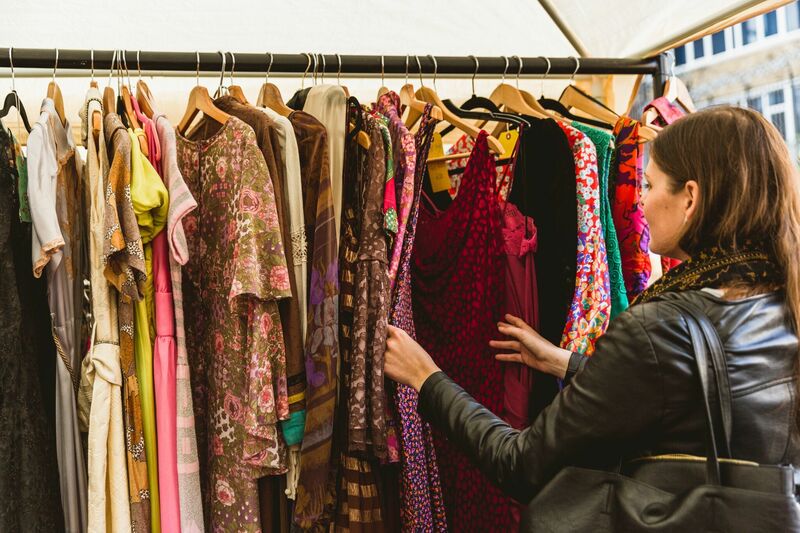 Formerly Flea at Flat Iron Square, this weekly vintage and makers market has moved to Vinegar Yard SE1, bringing its heaps of antiques, clothing, homeware, books, bikes and cameras with it. It's is less about old tat and more about careful curation. 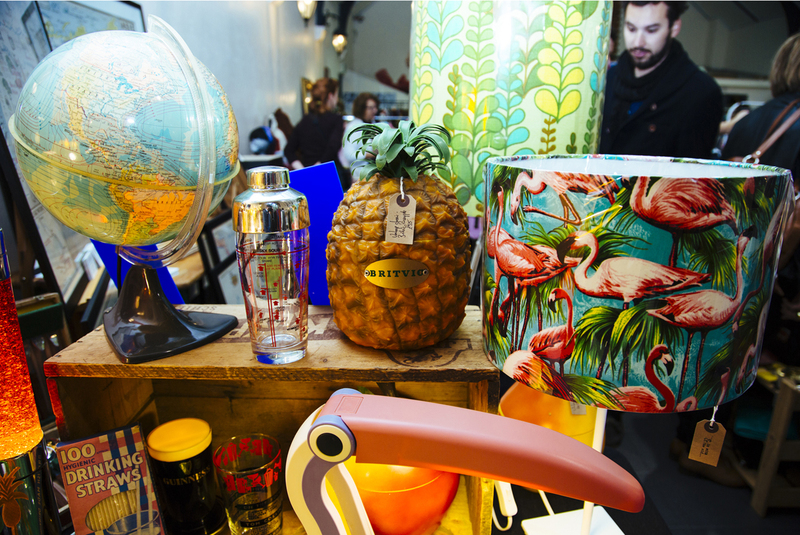 With a colourful display of eclectic goods, you’ll definitely end up leaving with something. It just probably won't be what you came for. 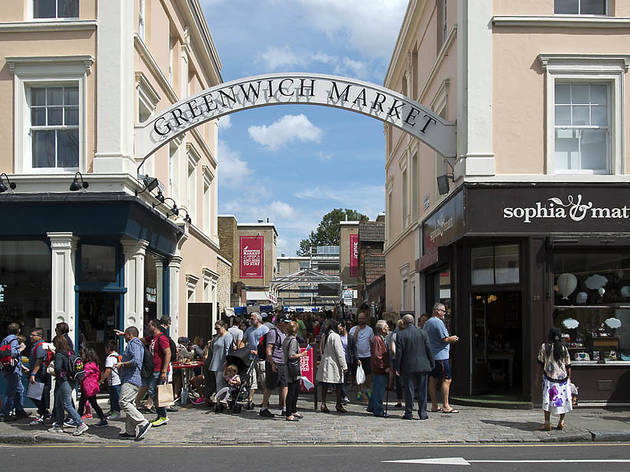 Though not everyone is a fan of the redevelopment of Spitalfields (particularly those pushed out by the rising rents), the market has had a new lease of life. The East End stalwart now comprises the refurbished 1887 covered market and the adjacent modern shopping precinct. 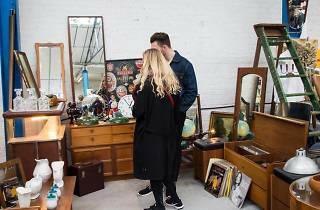 Browsing options include creations by up-and-coming designers, vintage clobber, crafts and more. 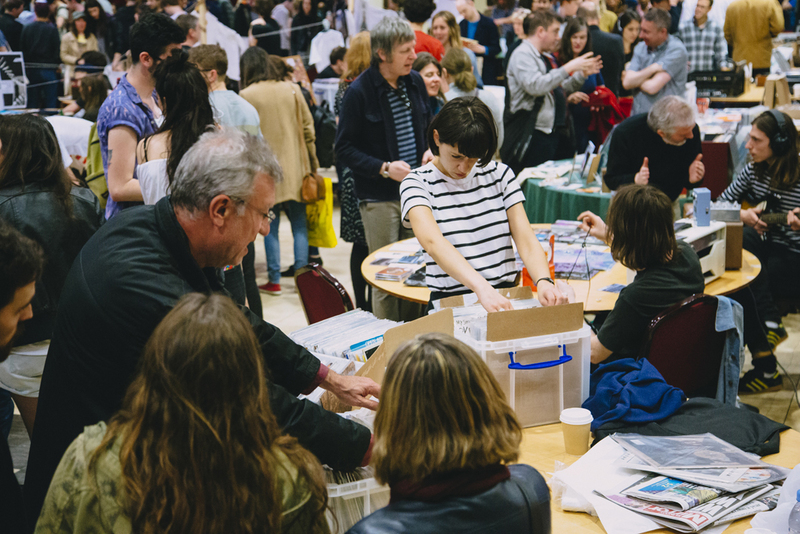 Don’t miss the Vinyl Market. On the first and third Fridays of the month, vinyl junkies can flick through those liquorice pizzas to find everything from obscure ’60s psychedelic albums to ’90s New York hip-hop. Hackney’s offering has its fair share of rare vinyl but there’s also an emphasis on indie labels here. A cleaning service is available throughout the day to restore any discs you bag, and off the record, there’s a pop-up bakery to fuel a second round of rummaging. 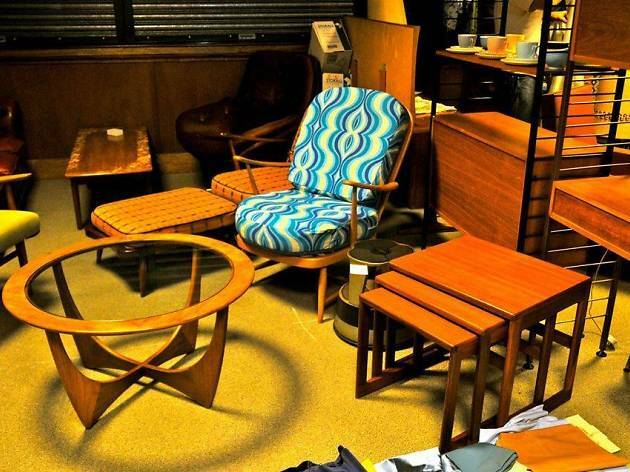 The South London Vintage Furniture Flea is your answer to turning a ‘dream living room’ Pinterest board into an IRL lustworthy lounge. Clear space for mid-century chairs and side tables, barware, soft furnishings and record players, or pick up posters and knick-knacks if you’re reworking your lodgings on a smaller budget. For those willing to travel, this bi-monthly market is worth a trek. A hotspot for prop buyers, it’s still great for average joes looking for anything-but-average homeware. It attracts European traders too, so you don’t have to cross the Channel for your French farmhouse furniture. 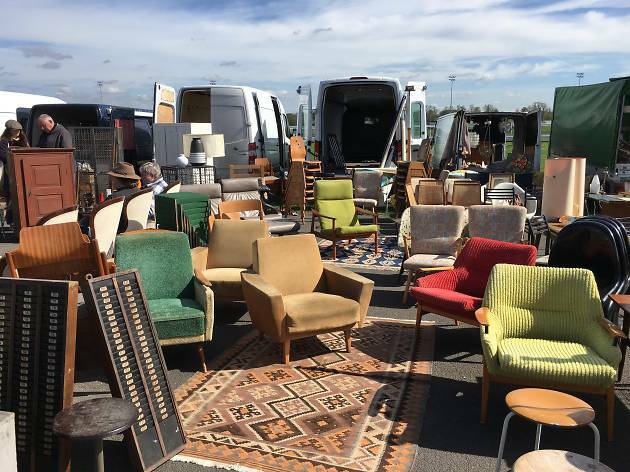 The launch of a second location at Sandown Park Racecourse this April means double the vintage joy. 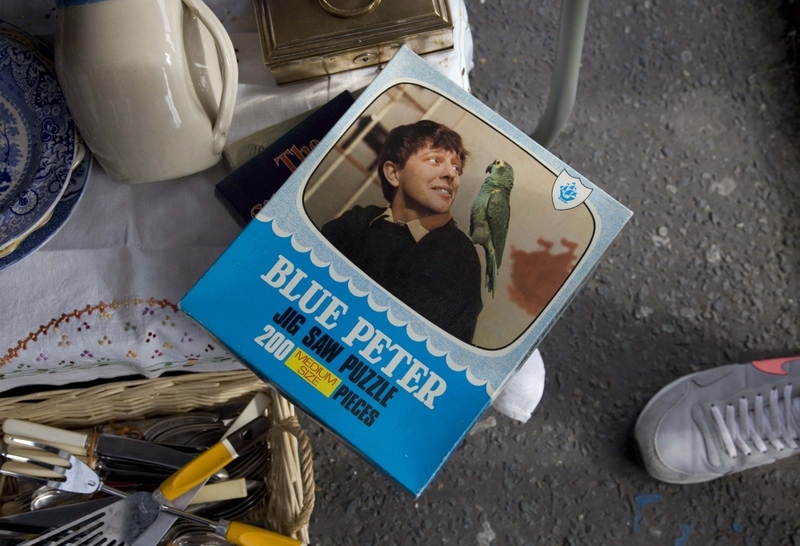 absolutely best at, though, is old stuff: vintage clothes, antique homeware, retro toys. There’s even an football memorabilia shop. Best of all? It’s all under cover, so the perfect rainy day out. 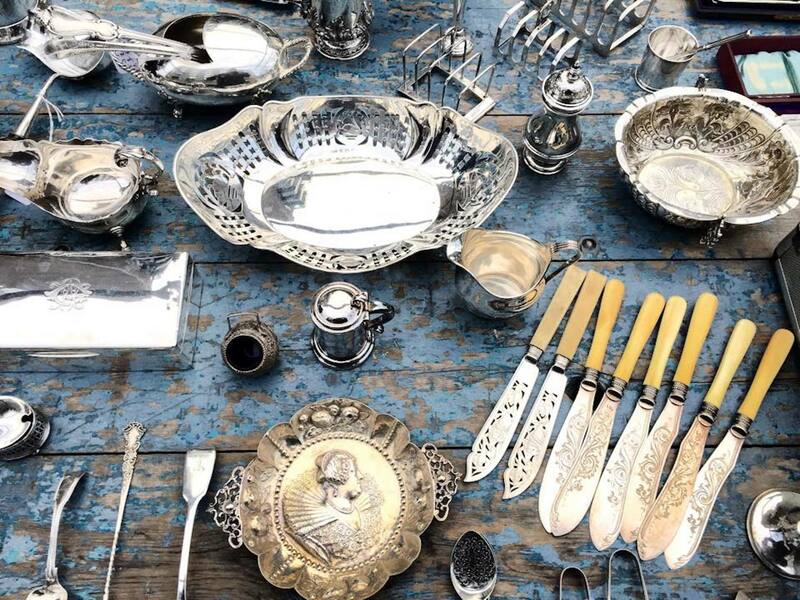 You’ll find china, silver and glassware shimmering in the morning light at Bermondsey Antiques Market. 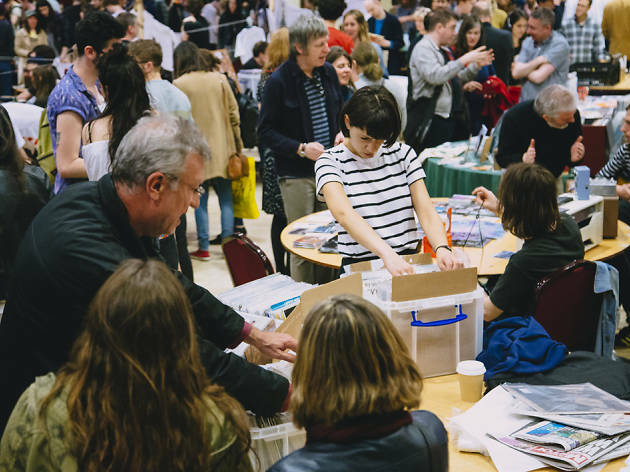 Early birds will be rewarded with bargains and first dibs on jewels, eighteenth-century Italian paintings and French maps. The way Londoners shop has changed drastically since the market’s inception in 1855, but a rummage through the dusty offerings here still feels like you’ve wandered into a Dickens novel (something you really don’t get from Westfield). 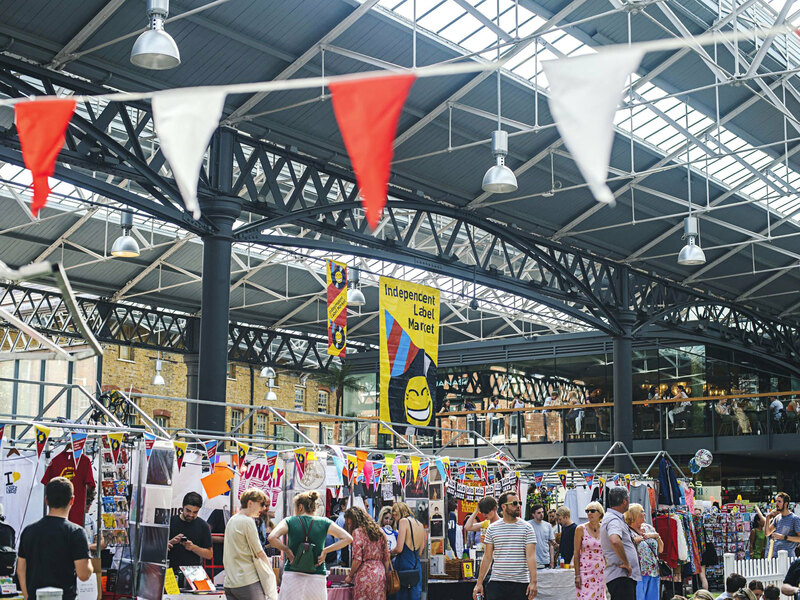 Though Brick Lane Market consists of a variety of markets in and around the East End, the biggest draw by far is the Sunday UpMarket in the Old Truman Brewery. 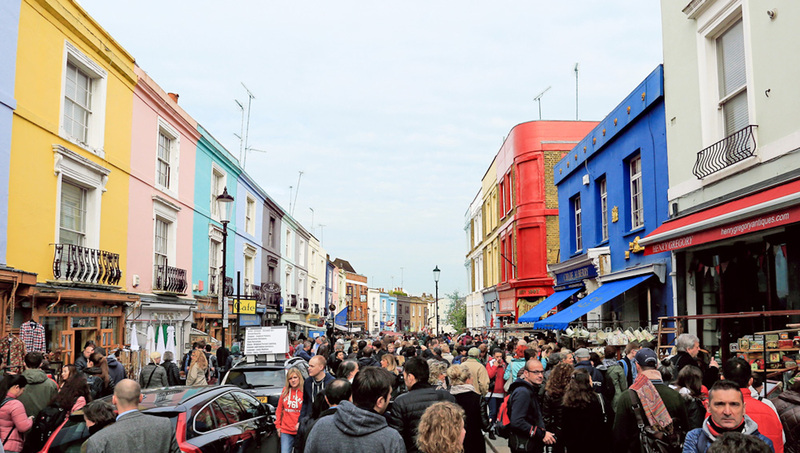 Here, you’ll find a buzzing crowd of arty students, bona fide locals and hip attention-seekers riffling through vintage stalls, quirky crafts by up-and-coming designers and stacks of old vinyl. Clapton’s Chatsworth Road sure is old. In the ’30s it had 200 stalls peddling their wares five days a week. After the war, the market dwindled and finally petered out in 1990 leaving Chatsworth Road bereft. 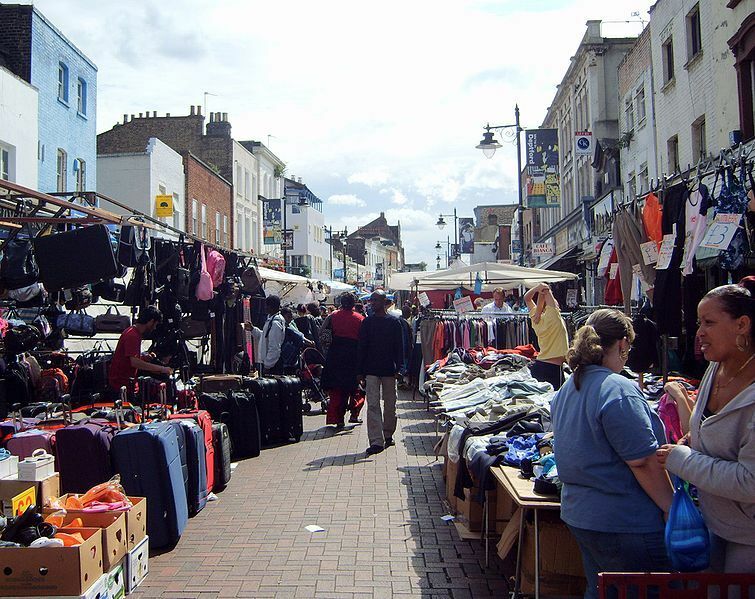 Chatsworth returned regularly in 2010, thanks to a campaign from locals and traders. 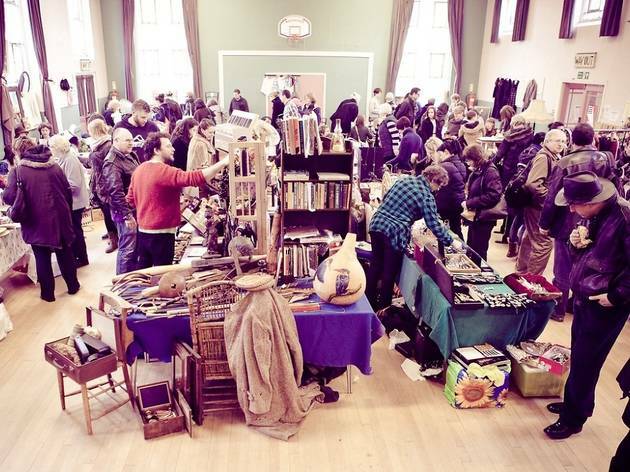 Now you’ll find over 40 stalls selling ethically sourced garb from India, natural knitting wool, vintage accessories alongside stalls showcasing the work of local designers, plus gourmet foods foods, cakes and preserves – and more than its fair share of hipsters. 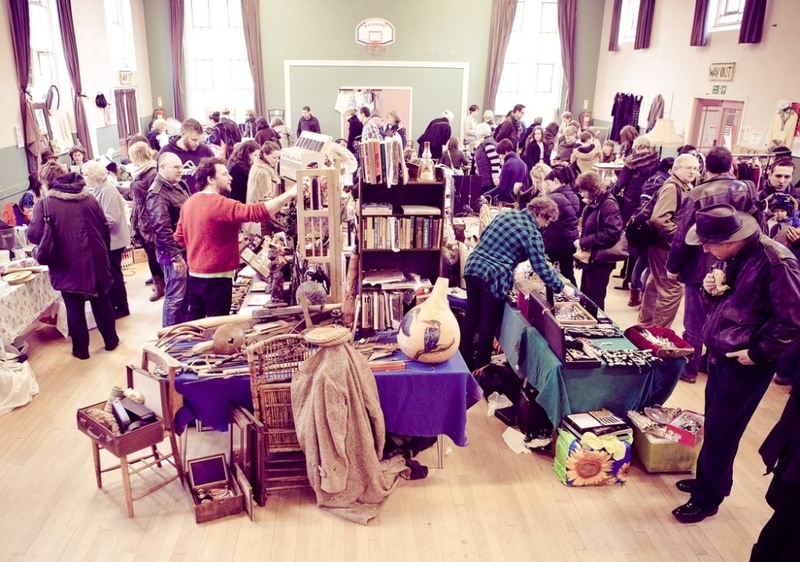 Jewellery, photography, embroidery, arts and craft stalls, with a few food traders too. Antiques and collectables dealers join them on Tuesdays, Thursdays, Fridays, Saturdays and Sundays trading in jewellery, vintage clothes, old books, 1950s and ’60s ceramics, lamps and more. 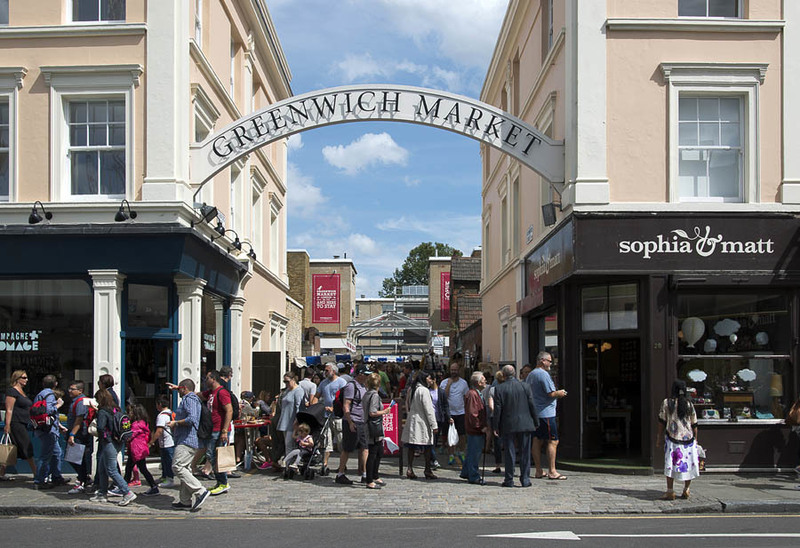 On the last Friday of every month you'll find the Moonlight Market on Greenwich Church Street, which is the Vintage Market in its evening guise; staying open until 11pm, with live music and a pop-up bar. The charming covered market hall located beside Covent Garden’s famous Piazza. 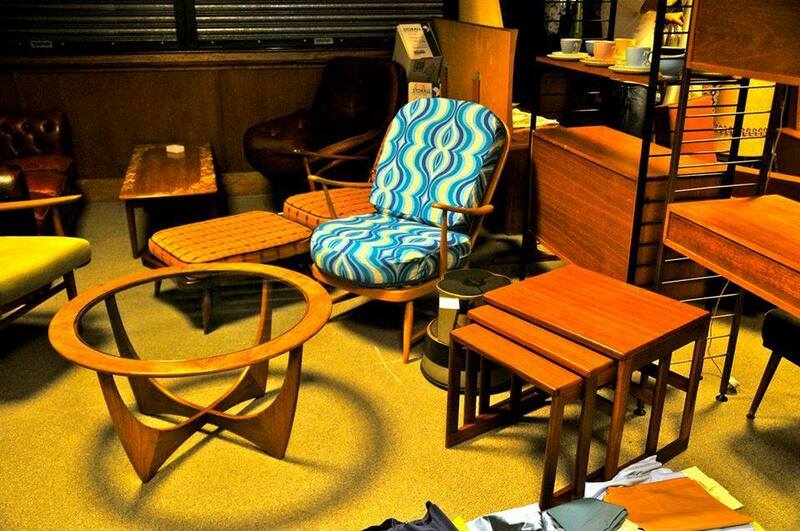 Mondays from 5am-5pm are devoted to antiques and collectables. Browsers will find an eclectic array of knick-knacks, including porcelain plates, old coins, art deco figurines and ‘John the Hat’, who has flogged steel and silver cutlery here for over 20 years. 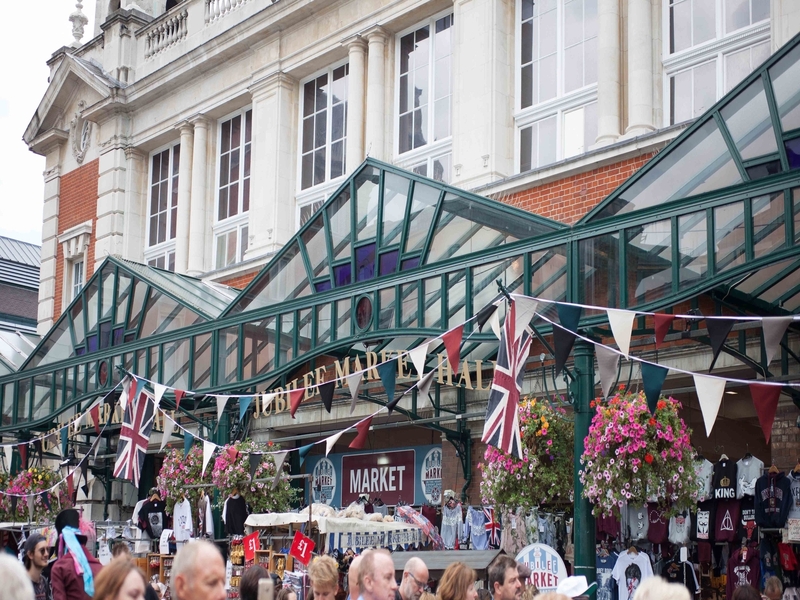 Venue says London's largest undercover market; bringing people and shopping together 364 days a year! Best known for antiques and collectibles, this is actually several markets rolled into one: antiques start at the Notting Hill end; further up are food stalls; under the Westway and along the walkway to Ladbroke Grove are emerging designer and vintage clothes on Fridays (marginally less busy) and Saturdays (invariably manic). A small market with a stellar stall line-up focusing mainly on items for the home. 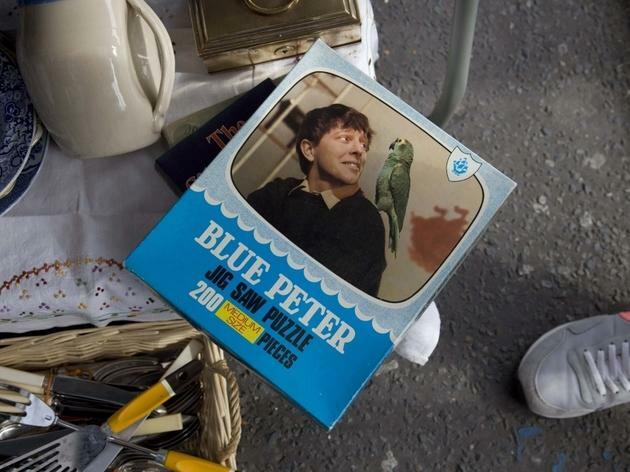 Look out for quirky pieces such as tea sets from the ’30s, coat hooks from the ’50s and printed curtains from the ’60s. 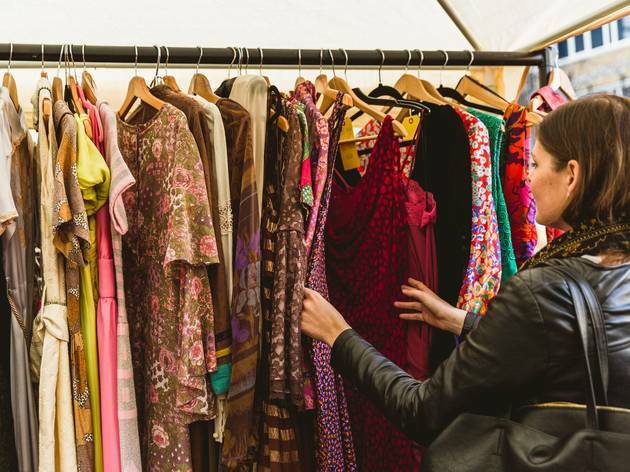 Kitchen finds aside, there’s also vintage clothing on sale for those who can’t live without a retro fashion fix – items range from brooches and petticoats to tea dresses and handbags. 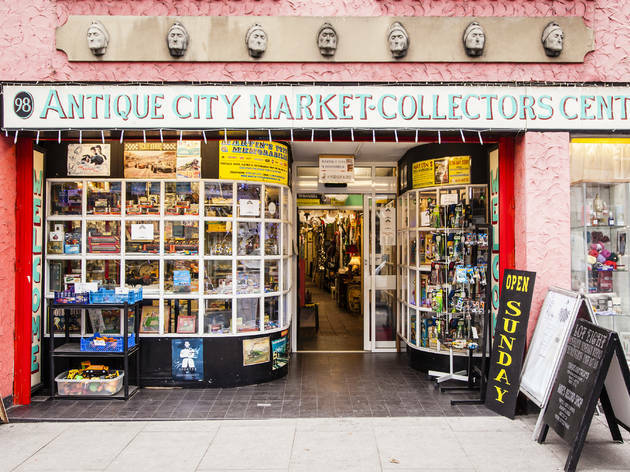 Housed in a huge art deco building, Alfies Antique Market has been one of London’s top spots for collectors, celebs and bargain hunters for more than 40 years. 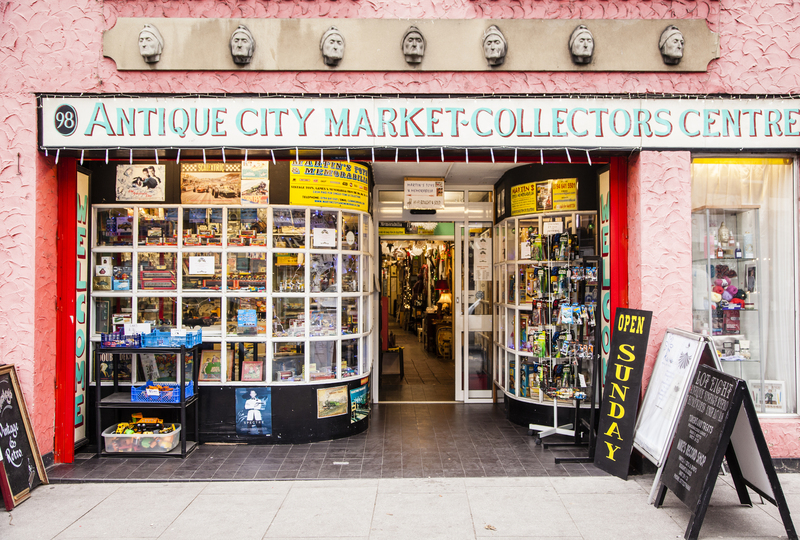 Everything is carefully curated, and this is reflected in the prices, but if you’re serious about picking up a one-of-a-kind gem, this huge antiques arcade is hard to beat.